Huma, an IBA graduate of 90s, is a human resource practitioner with over 18 years of comprehensive HR experience ranging from Recruitment, Management Training to Organization Development in various industries from Banking to consultancies. 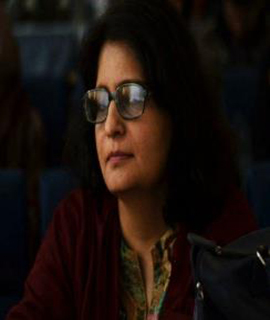 She has extensive experience in developing human resource service manuals, job descriptions and competency development as well as conducting over 400 management courses in various capacities from in house courses in Standard Chartered Bank to public courses in Pakistan Institute of Management and AASA Consulting to International courses in Singapore, and Middle East. She has Expansive ability and proven experience to address and implement strategic plans for talent acquisition, retention and succession planning. Feather in the cap: She has designed a database system for effective candidate shortlisting for Standard Chartered Bank which was adopted by other branches of the bank in various countries.